So I figured that since I'm reviewing beers, I should write something up that explains some of their key differences. I know that when you go to the grocer, it can be hard to pick something between all the different types. 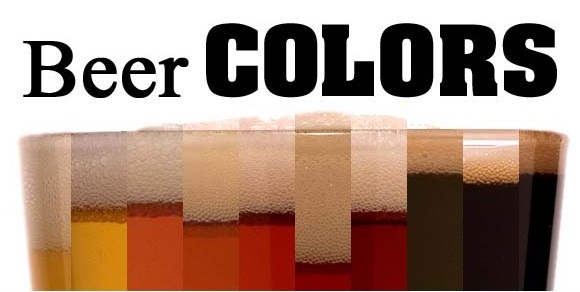 I mean what is the difference between a Lager, Porter, Ale, IPA, Stout, Pilsner, etc...? Lets start out with breaking all beers into two categories. 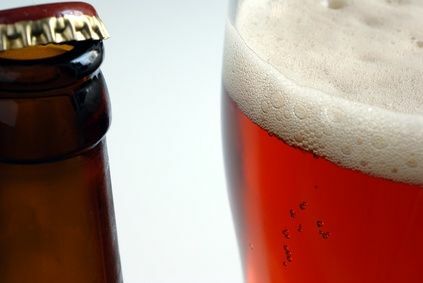 All beer is either a Lager or an Ale (The exception is Lambics which are brewed in Belgium and fermented spontaneously by being exposed to wild yeasts and and bacteria native to the Senna Valley). The differences between the two are the temps that the yeast is fermented and the type of yeast used. 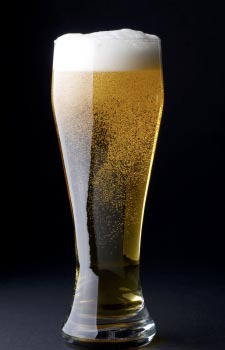 For the most part, Lagers are brewed colder than Ales. 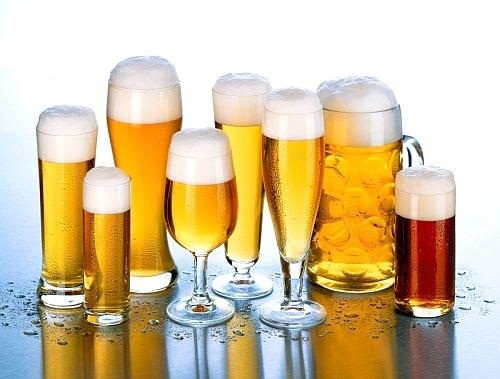 These are a few example of the different types of Lagers and Ales, not anywhere near all the types but a good spread of the ones you're most likely to recognize. 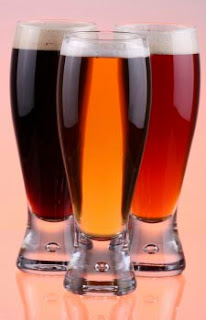 The term "Ale" was initially used to describe a drink brewed without hops, unlike "beer." Now hops are used to bitter and temper the natural sweetness found in the high malt content of Ale. The first Lager that Americans usually think of is the mass produced, pale yellow and watery Budweiser and Coors. While these are part of the family (like that distant 3rd cousin that everyone hates but still invites to family functions) they are a poor representation of the Lager name. 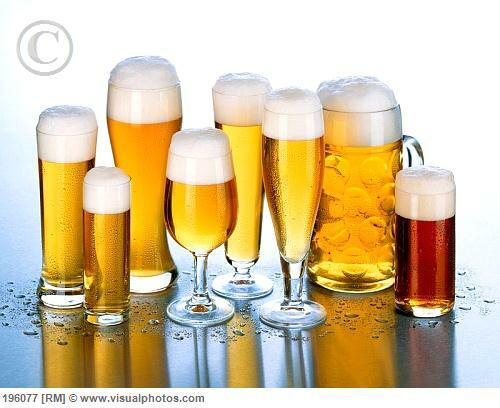 Lagers get their name from the German word lagern, which means “to store”. Fermented colder than ales and then stored, sometimes for months, at temperatures near freezing, these beers have a crisp and clean flavor that leave you refreshed afterwards. ... ignore it! A lot of people get scared when they see a "dark" beer because they automatically think it's going to taste like Guinness (I want to take a second to point out that I have nothing against Guinness. I actually really like the beer, it's just so popular and so strong that a lot of people get turned off to dark beers because it was their first go at it). I've had plenty of beers that I could see through (looking at you IPA) and were WAY stronger flavored and had a WAY stronger finish (after-taste) than most "darks". Ok... maybe don't ignore the color but at least keep an open mind. Lets talk real quick about ABV. Normally beer ranges anywhere from 2.9% - 12% but can get much higher. As with flavor, it's a common misconception that all dark beers have a higher alcohol content. For instance, Guinness is only a 4.4% ABV vs Sierra Nevada's Pale Ale is a 5.3% abv. These are getting so much better Michael! I'm stoked to try out some more beers I haven't had yet :) also u should put your beer Mac n cheese recepi up! I could put it up but I havn't made it in a while and so I wouldn't have pictures to go with it. I need to make it again soon! There are few things in this world that I enjoy more than working in my kitchen or drinking a great beer. This is my first swing at blogging so be gentle with me! This blog will, hopefully, be an educational stop for you to pick up recipes, good beer suggestions and my local restaurant reviews. Thanks for visiting my blog, Azrael's Kitchen. I hope you enjoy it.